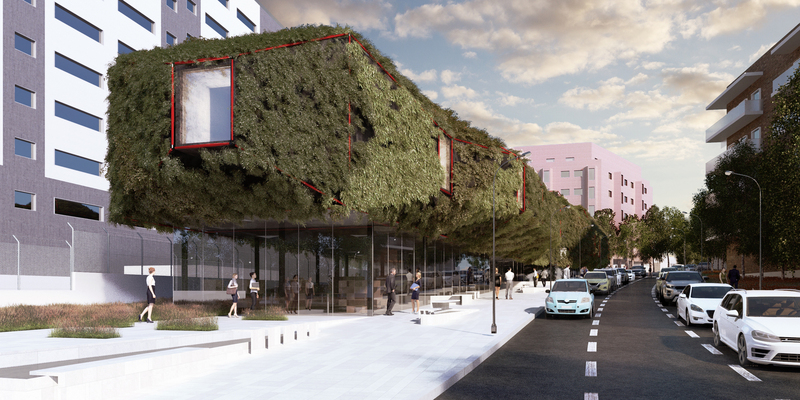 Using a constantly changing screen of ivy as a passive solar device, a new library planned for Madrid takes on a shape that’s out of this world. 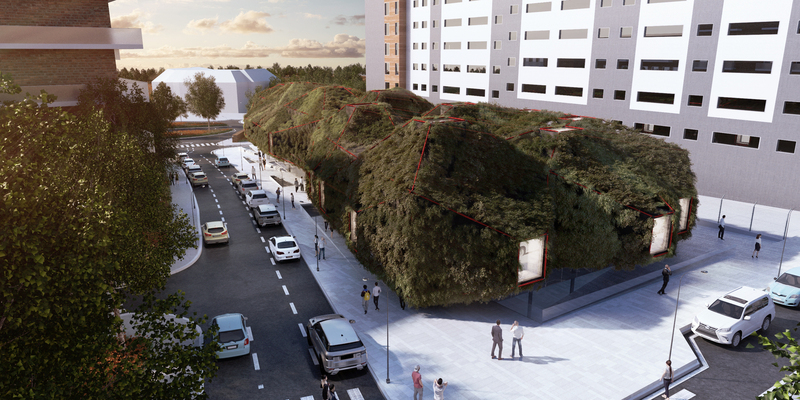 Architecture firm 3GATTI calls the unusual structure “Green Spaceship,” envisioning it as a living organism that goes beyond merely holding a collection of books to interact with the neighborhood and its inhabitants. 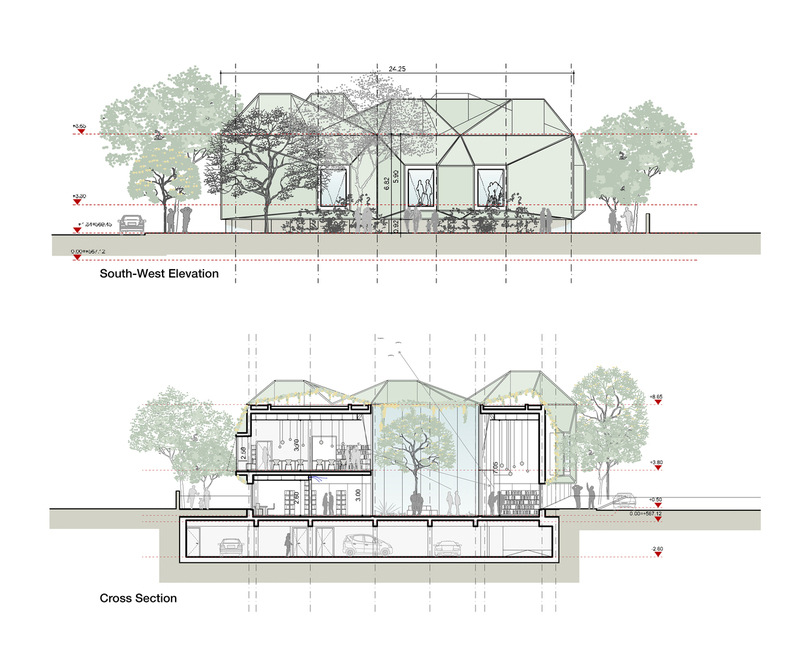 Set to land in the neighborhood of Villaverde, “Green Spaceship” features a transparent glassed-in lower level that will house noisier functions like meetings, while the dynamic upper level offers space for quiet study zones. The bulbous upper level appears to hover above the ground on its own, the mounds on its roof opening to the sky while its sides are punctuated by only a handful of windows. The concrete and brick of the upper level supports a geometric red framework and net cladding upon which curtains of Virginia Creeper vine will grow. In the summer, this greenery will become thick and lush, keeping the building cool; in fall, it will turn spectacular shades of gold and red before dying back in the winter. 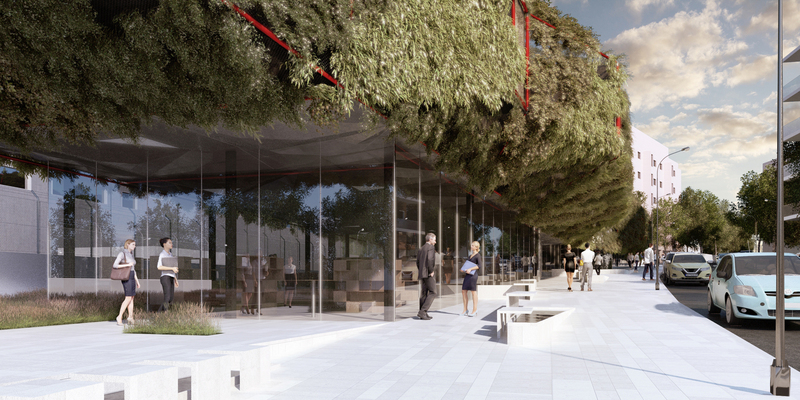 Then, the dark gray color of the building underneath will attract the heat of the sun. 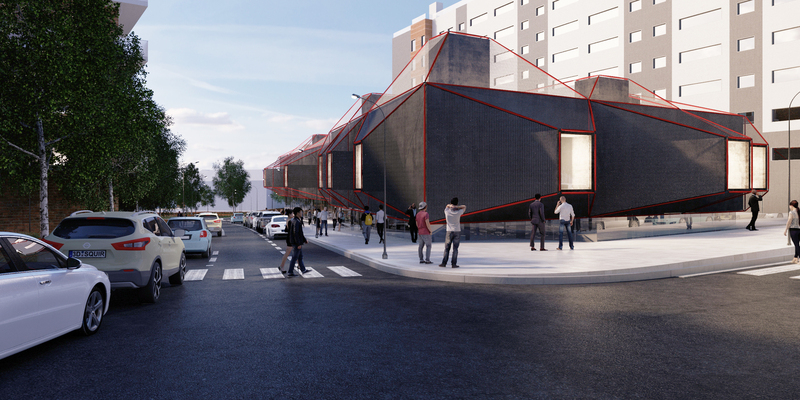 The library could potentially enliven a city block that’s currently looking fairly drab, while also creating new gathering zones tucked beneath the projection of its facade. 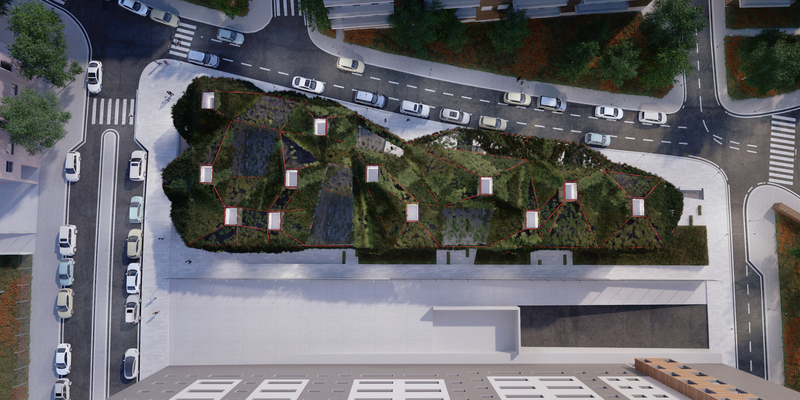 Behind it, an outdoor space is left open to offer pedestrians a shortcut between to streets, and other open spaces will become vegetable gardens attached to children’s library rooms.